As the COP21 approaches, national governments have recognized that, as UN Secretary-General Ban Ki-moon put it, “The road to sustainability runs through the world’s towns and cities.” The world has woken up to the power of local and subnational governments to act first on climate change, with a growing number of organizations looking to unite cities for a more sustainable future. 2012: Changwon, Republic of Korea. 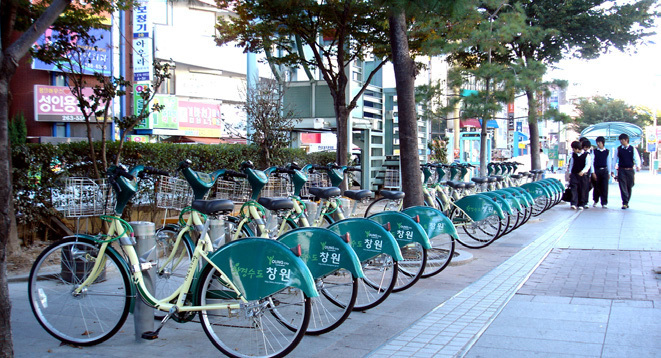 Changwon’s Nearby Useful Bike, Interesting Joyful Attraction (NUBIJA) Project. Now, ICLEI and partners are helping local and subnational governments to go further still with the Transformative Actions Program (TAP). The TAP is an inclusive and cooperative effort, bringing together local and subnational governments, development agencies, funding bodies and banks, and national governments. Acting in unison, these stakeholders will push for ambitious, inclusive and cross-cutting climate action – action that is truly transformative. The very best of cities, municipalities and regions will be displayed, at a time when such action is needed more than ever before. Local and subnational governments have always been at the forefront of climate action. The first official commitment to climate action was made by the city of Toronto in 1988, years before the development of the UNFCCC. Similarly, when ICLEI launched the Urban CO2 Reduction Project in 1991, there was no universally-agreed definition of greenhouse gas emissions. The first global data on CO2 became available in 1997, by which time cities were well on the way to measuring and cutting emissions. This pioneering attitude has continued to the present day. In Copenhagen in 2009, ICLEI helped to develop the World Catalogue of Local Climate Commitments. Over 3,000 local governments made concrete commitments before national governments had even finalized their mechanism. A year later, these efforts evolved into the carbonn Climate Registry which as of 2015 contains climate information of 14% of world´s urban population voluntary reported by more than 500 local and subnational governments thanks to collaboration with more than 10 partnerships, serving as the central repository of the Compact of Mayors and acting as the core data partner of NAZCA Portal of the UNFCCC. In pursuing these initiatives, local and subnational governments have often trod a lonely path, progressing in advance of nations with little support or recognition. This is no longer the case. Ban Ki-moon is not alone in speaking up for the importance of cities, municipalities and regions. As the largest global advocacy partnership of local and regional governments that kicked-off in 2007, Local Government Climate Roadmap recorded a major success in 2010 with the adoption of the Cancun Agreements (Dec.1/CP16), paragraph 7 of which recognizes local and subnational governments as governmental stakeholders, followed by a second decision in 2013 in Warsaw (para5b of Dec.1/CP16) that recognizes their contribution in raising pre-2020 ambition . This progress has continued through a number of global processes outside the UNFCCC, including COP decisions on biodiversity and the Hyogo Framework for Action on disaster risk reduction. With a new place in the spotlight, local and subnational governments must inspire like never before. The global process will be a “push” process – states will be incentivised and encouraged to set targets and to reach them. But cities can pull people along, showing what is possible if we all raise our ambitions. This is true, for instance, in relation to the negotiations around the Sustainable Development Goals (SDGs). The negotiations will take place under the motto of “Leave no one behind”, but this runs the risk of lowering the bar to include all actors. It is true that everyone must be included, but while we leave no one behind, we should also let all be inspired by the pioneers. This is what the TAP will accomplish. The TAP2015 Pavilion at COP21, which will showcase up to 100 of the most innovative and ambitious local climate projects, will be a chance for the entire world to see what local and subnational governments plan to accomplish. They can draw inspiration from this, and contribute to it. For this to happen, everyone must come together. Cities have the chance to show what they can do, and they must take it. 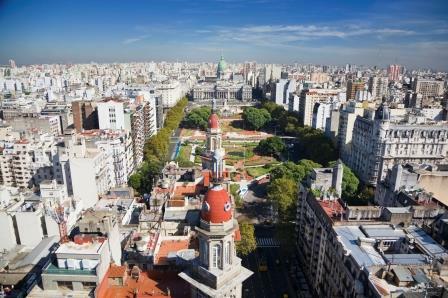 ICLEI and partners must do everything they can to mobilize local and subnational governments to TAP their potential.